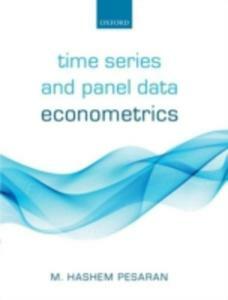 Presenting Modern Developments In Time Series Analysis, This Book Focuses On Their Application To Economic Problems. It Introduces The Concept Of A Stationary Time Series And The Basic Properties Of Covariance, Moves To Non-stationary Time Series, And Discusses Volatility Models. The Second Part Of The Text Is Devoted To Multivariate Processes. In this book, the authors reject the theorem-proof approach as much as possible, and emphasize the practical application of econometrics. They show with examples how to calculate and interpret the numerical results. This book begins with students estimating simple univariate models, in a step by step fashion, using the popular Stata software system. Students then test for stationarity, while replicating the actual results from hugely influential papers such as those by Granger and Newbold, and Nelson and Plosser. Readers will learn about structural breaks by replicating papers by Perron, and Zivot and Andrews. They then turn to models of conditional volatility, replicating papers by Bollerslev. Finally, students estimate multi-equation models such as vector autoregressions and vector error-correction mechanisms, replicating the results in influential papers by Sims and Granger. The book contains many worked-out examples, and many data-driven exercises. While intended primarily for graduate students and advanced undergraduates, practitioners will also find the book useful. Researchers in many fields are increasingly finding the Bayesian approach to statistics to be an attractive one. This book introduces the reader to the use of Bayesian methods in the field of econometrics at the advanced undergraduate or graduate level. The book is self--contained and does not require that readers have previous training in econometrics. The focus is on models used by applied economists and the computational techniques necessary to implement Bayesian methods when doing empirical work. Topics covered in the book include the regression model (and variants applicable for use with panel data), time series models, models for qualitative or censored data, nonparametric methods and Bayesian model averaging. 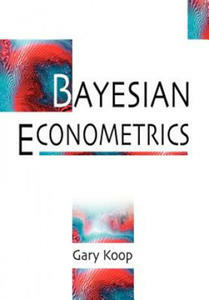 The book includes numerous empirical examples and the website associated with it contains data sets and computer programs to help the student develop the computational skills of modern Bayesian econometrics. Reflects the developments and new directions in the field since the publication of the first successful edition and contains a complete set of problems and solutions This revised and expanded edition reflects the developments and new directions in the field since the publication of the first edition. In particular, sections on nonstationary panel data analysis and a discussion on the distinction between deterministic and stochastic trends have been added. Three new chapters on long-memory discrete-time and continuous-time processes have also been created, whereas some chapters have been merged and some sections deleted. The first eleven chapters of the first edition have been compressed into ten chapters, with a chapter on nonstationary panel added and located under Part I: Analysis of Non-fractional Time Series. Chapters 12 to 14 have been newly written under Part II: Analysis of Fractional Time Series. Chapter 12 discusses the basic theory of long-memory processes by introducing ARFIMA models and the fractional Brownian motion (fBm). Chapter 13 is concerned with the computation of distributions of quadratic functionals of the fBm and its ratio. Next, Chapter 14 introduces the fractional Ornstein-Uhlenbeck process, on which the statistical inference is discussed. Finally, Chapter 15 gives a complete set of solutions to problems posed at the end of most sections. This new edition features: * Sections to discuss nonstationary panel data analysis, the problem of differentiating between deterministic and stochastic trends, and nonstationary processes of local deviations from a unit root * Consideration of the maximum likelihood estimator of the drift parameter, as well as asymptotics as the sampling span increases * Discussions on not only nonstationary but also noninvertible time series from a theoretical viewpoint * New topics such as the computation of limiting local powers of panel unit root tests, the derivation of the fractional unit root distribution, and unit root tests under the fBm error Time Series Analysis: Nonstationary and Noninvertible Distribution Theory, Second Edition, is a reference for graduate students in econometrics or time series analysis. Katsuto Tanaka, PhD, is a professor in the Faculty of Economics at Gakushuin University and was previously a professor at Hitotsubashi University. He is a recipient of the Tjalling C. Koopmans Econometric Theory Prize (1996), the Japan Statistical Society Prize (1998), and the Econometric Theory Award (1999). Aside from the first edition of Time Series Analysis (Wiley, 1996), Dr. Tanaka had published five econometrics and statistics books in Japanese. Unlike uncertain dynamical systems in physical sciences where models for prediction are somewhat given to us by physical laws, uncertain dynamical systems in economics need statistical models. In this context, modeling and optimization surface as basic ingredients for fruitful applications. This volume concentrates on the current methodology of copulas and maximum entropy optimization.§This volume contains main research presentations at the Sixth International Conference of the Thailand Econometrics Society held at the Faculty of Economics, Chiang Mai University, Thailand, during January 10-11, 2013. It consists of keynote addresses, theoretical and applied contributions. These contributions to Econometrics are somewhat centered around the theme of Copulas and Maximum Entropy Econometrics. The method of copulas is applied to a variety of economic problems where multivariate model building and correlation analysis are needed. As for the art of choosing copulas in practical problems, the principle of maximum entropy surfaces as a potential way to do so. The state-of-the-art of Maximum Entropy Econometrics is presented in the first keynote address, while the second keynote address focusses on testing stationarity in economic time series data. David F. Hendry is a seminal figure in modern econometrics. He has pioneered the LSE approach to econometrics, and his influence is wide ranging. This book is a collection of papers dedicated to him and his work. 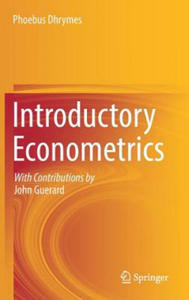 Many internationally renowned econometricians who have collaborated with Hendry or have been influenced by his research have contributed to this volume, which provides a reflection on the recent advances in econometrics and considers the future progress for the methodology of econometrics. Central themes of the book include dynamic modelling and the properties of time series data, model selection and model evaluation, forecasting, policy analysis, exogeneity and causality, and encompassing. The book strikes a balance between econometric theory and empirical work, and demonstrates the influence that Hendry's research has had on the direction of modern econometrics. Contributors include: Karim Abadir, Anindya Banerjee, Gunnar Bardsen, Andreas Beyer, Mike Clements, James Davidson, Juan Dolado, Jurgen Doornik, Robert Engle, Neil Ericsson, Jesus Gonzalo, Clive Granger, David Hendry, Kevin Hoover, Soren Johansen, Katarina Juselius, Steven Kamin, Pauline Kennedy, Maozu Lu, Massimiliano Marcellino, Laura Mayoral, Grayham Mizon, Bent Nielsen, Ragnor Nymoen, Jim Stock, Pravin Trivedi, Paolo Paruolo, Mark Watson, Hal White, and David Zimmer. This book provides a rigorous introduction to the principles of econometrics and gives students and practitioners the tools they need to effectively and accurately analyze real data. Thoroughly updated to address the developments in the field that have occurred since the original publication of this classic text, the second edition has been expanded to include two chapters on time series analysis and one on nonparametric methods. Discussions on covariance (including GMM), partial identification, and empirical likelihood have also been added. The selection of topics and the level of discourse give sufficient variety so that the book can serve as the basis for several types of courses. This book is intended for upper undergraduate and first year graduate courses in economics and statistics and also has applications in mathematics and some social sciences where a reasonable knowledge of matrix algebra and probability theory is common. It is also ideally suited for practicing professionals who want to deepen their understanding of the methods they employ. Also available for the new edition is a solutions manual, containing answers to the end-of-chapter exercises. Macroeconometric models, in many ways the flagships of the economist's profession in the 1960s, came under increasing attack from both theoretical economist and practitioners in the late 1970s. Critics referred to their lack of microeconomic theoretical foundations, ad hoc models of expectations, lack of identification, neglect of dynamics and non-stationarity, and poor forecasting properties. By the start of the 1990s, the status of macroeconometric models had declined markedly, and had fallen completely out of, and with, academic economics. Nevertheless, unlike the dinosaurs to which they often have been likened, macroeconometric models have never completely disappeared from the scene. This book describes how and why the discipline of macroeconometric modelling continues to play a role for economic policymaking by adapting to changing demands, in response, for instance, to new policy regimes like inflation targeting. Model builders have adopted new insights from economic theory and taken advantage of the methodological and conceptual advances within time series econometrics over the last twenty years. The modelling of wages and prices takes a central part in the book as the authors interpret and evaluate the last forty years of international research experience in the light of the Norwegian 'main course' model of inflation in a small open economy. The preferred model is a dynamic model of incomplete competition, which is evaluated against alternatives as diverse as the Phillips curve, Nickell-Layard wage curves, the New Keynesian Phillips curve, and monetary inflation models on data from the Euro area, the UK, and Norway. The wage price core model is built into a small econometric model for Norway to analyse the transmission mechanism and to evaluate monetary policy rules. The final chapter explores the main sources of forecast failure likely to occur in a practical modelling situation, using the large-scale nodel RIMINI and the inflation models of earlier chapters as case studies. This book focused on the panel data model estimators. Panel data is a continuously developing field. Panel data combine cross-sectional and time-series data and, therefore, provide a more appealing structure of data analysis than either cross sectional or time-series data, alone. Panel data analysis has many advantages over analysis using time-series and cross-sectional data alone. For example, the increased sample size due to the utilization of cross-sectional and time-series data improves the accuracy of model parameters' estimates due to a greater number of degrees of freedom and less multicollinearity compared to either cross-section or time-series data alone. Additionally, since panel data contain information on both the inter-temporal dynamics and the individuality of entities, it controls for the effect of missing variables on the estimation results. This book targeted at undergraduate, postgraduate students and other researchers who want to further their study on panel data models. Testing for a unit root is now an essential part of time series analysis. Indeed no time series study in economics, and other disciplines that use time series observations, can ignore the crucial issue of nonstationarity caused by a unit root. However, the literature on the topic is large and often technical, making it difficult to understand the key practical issues. This volume provides an accessible introduction and a critical overview of tests for a unit root in time series, with extensive practical examples and illustrations using simulation analysis. It presents the concepts that enable the reader to understand the theoretical background, and importance of ranA--dom walks and Brownian motion, to the development of unit root tests. The book also examines the latest developments and practical concerns in unit root testing. This book is indispensable reading for all interested in econometrics, time series econometrics, applied econometrics and applied statistics. It will also be of interest to other disciplines, such as geography, climate change and meteorology, which use time series of data.